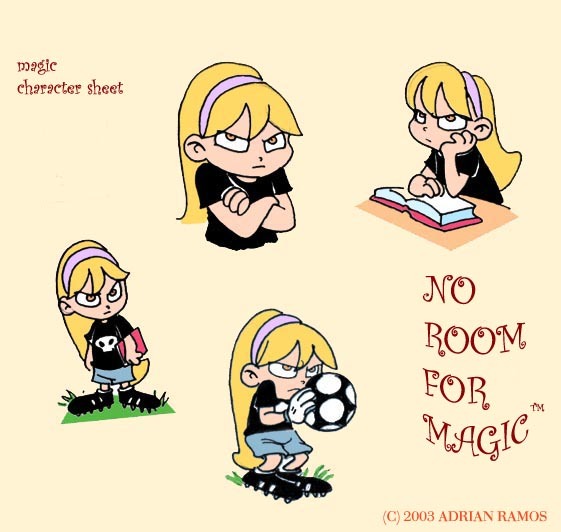 Adis says:That's Magic, the main character of my other webcomic you'll be seeing soon, called No Room for Magic. It's pretty evident that she is as far removed from Katie as possible. I'll give you another preview soon, and expect the comic a bit later on. I need your opinion on a few things, so please visit the forum and read my rants. Tomorrow, you'll be seeing a very cool (if I say so myself) new feature of the strip that I hope you'll enjoy!